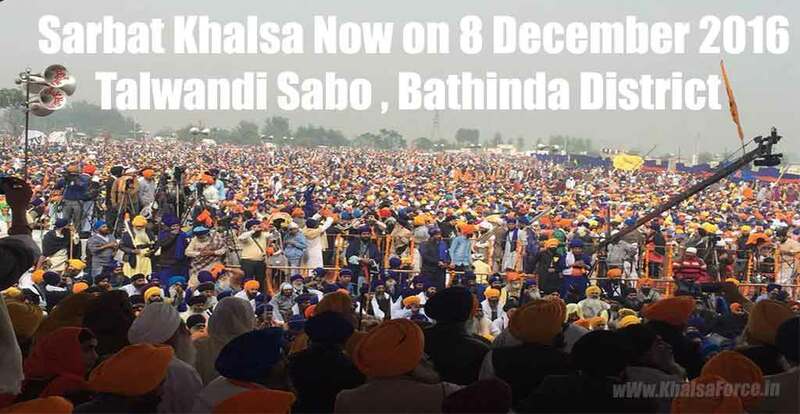 Bathinda :- The Sarbat Khalsa which scheduled for November 10, which had to be postponed due to the crackdown of the government at radical Sikh leadership, would now be held on December 8 at Talwandi Sabo. This was announced by three Sarbat Khalsa appointed Jathedars of Takhts. 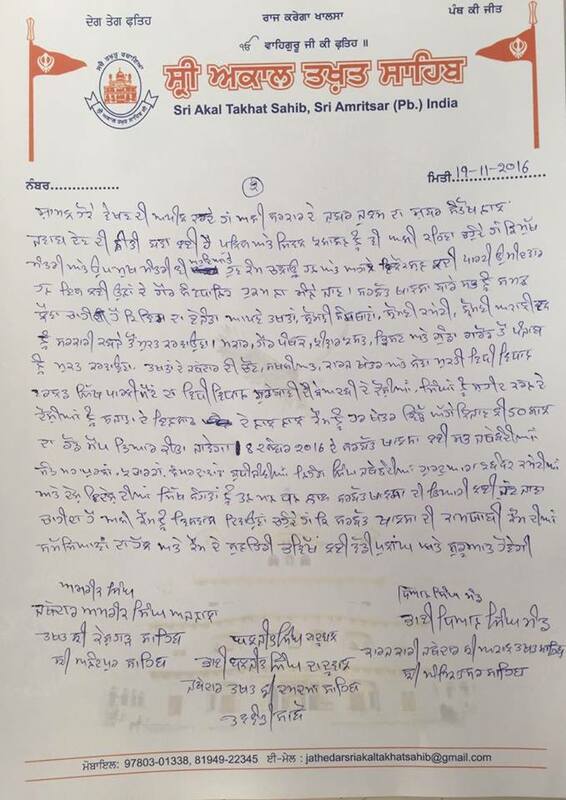 A press relese in this respect was issued in Punjabi signed by three parallel Jathedars – Bhai Dhian Singh Mand, ‘Acting Jathedar’ of Akal Takht Sahib, Baba Baljit Singh Daduwal, ‘Jathedar’ of Takht Damdama Sahib and Amrik Singh Ajnala ‘Jathedar’ of Takht Kesgarh Sahib. 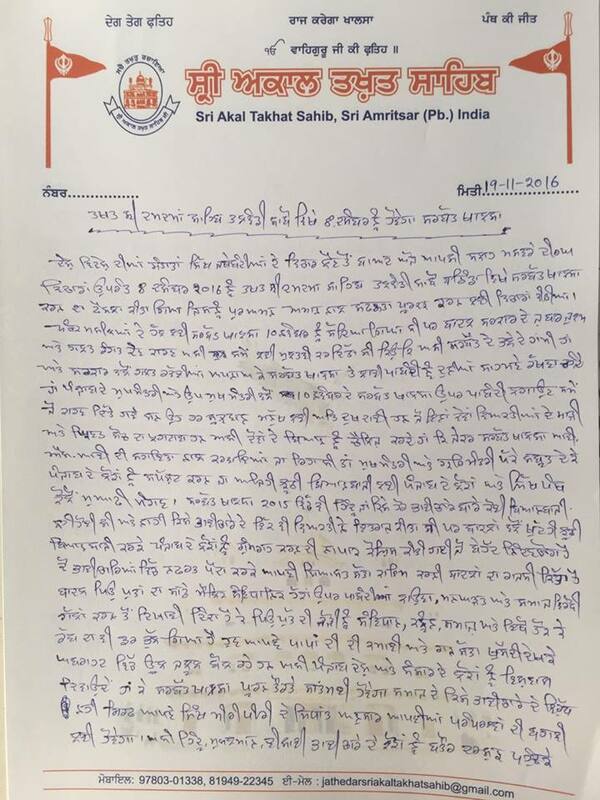 The press note criticised chief minister Parkash Singh Badal and Deputy Chief Minister Sukhbir Singh Badal for crackdown on Sikh leadership including organizers of the Sarbat Khalsa. The Sikh leaders said that they were blamed for having links with ISI but it would have been better if the CM or the Dy CM provided some evidence in this regard. They sought an apology from the Badals for blaming them to be stooges of ISI. The three Jathedars said that even the 2015 Sarbat Khalsa did not pass any resolution or discuss anything communal against any community. The parallel Jathedars warned the police and the bureaucracy not to play in the hands of the SAD-BJP government and perform their duty as per the constitution. Interestingly, the Sarbat Khalsa would now coincide with the date of SAD’s ‘Paani Bachao Punjab Bachao’ Rally planned as a mark of protest against SC verdict in the matter of river waters and SYL, for December 8 at Moga. Previous post Lt-Gen (Retd.) S.K. Sinha | This Noble Soul Passed away Yesterday and his funeral was held today in Delhi.